AirAsia has been involved in a long running dispute with Malaysia Airports (MAHB) over Terminal 2 at Kuala Lumpur International Airport. Basically AirAsia wants to change the name of the terminal to LCCT2. You can read more about that here. OK, first of all I’m no fan of MAHB. KLIA is a tired, depressing, soulless, outdated, poorly designed airport and MAHB doesn’t seem to be interested in the customer experience, making it better or improving the wayfinding. And I use the airport at least 50 times a year. But what has ‘denying the existence of AirAsia and its contributions to the growth of the aviation industry’ got to do with not agreeing to change the name of a terminal? Furthermore, what does Air Asia think it is doing telling MAHB it will change the name of the airport on it’s website even though MAHB doesn’t agree with the name change? Who do they think they are that they can make such audacious moves and what is the point? Isn’t it going to make it even more confusing for Air Asia passengers? Especially those from other countries. Are they so arrogant that if a manufacturer tells them an aircraft can only fly so fast, are they going to ignore that manufacturer because it doesn’t suit them? Talk about a baby throwing it’s toys out of the pram because it doesn’t get it’s own way!! AirAsia may be trying to send a defiant message to MAHB but to me it portrays the airline as arrogant, out of touch, unreasonable, petulant, pedantic and stubborn. Is that the sort of culture one wants at an airline? Can you imagine Cebu Air telling Changi that if doesn’t change the name of terminal 3 to LCCT3 it will do so on it’s website and collaterals? Or Air France changing the name of Heathrow Terminal 2 to French national carrier terminal 2? And the irony is that changing the name to LCCT2 is wrong anyway. Firstly it’s going to cause confusion on so many levels – where is LCCT1? How do I get from LCCT2 to Klia? Is it a long way? And so on. AirAsia has done an amazing job of bringing aviation to the masses. But no one owes it anything. It needs to remember that or it could join the more than 350 airlines that have come and gone in the last 50 years. I do not what’s the power play going on between AirAsia & MAHB but just keep the name (klia2) as it is. Thanks for your comment. Actually I think it should be KLIAT2 and the other one should be KLIAT1 just like Heathrow, Changi and just about everywhere else in the world. I wholeheartedly agree with your sentiments regarding the petulant and sophomoric attitude and behaviour of AirAsia. This self-appointed “low-cost” and arrogant airline has much bigger things to worry about than this tripe “name-gate” affair, such as making improvements to their often abysmal customer service which – sadly to say – is some of the worst I have ever encountered from any company anywhere. Just for fun, go to their Facebook page and read comment after comment of people trying to get their money back from flights cancelled BY AirAsia! Ms. Omar is nothing more than a lemming to Mr. Fernandes and a retreaded bean counter who has no concept of delivering good service or an original idea. Thanks for your comments. Not only is AirAsia incapable of delivering even a half decent level of service, it’s actually quite often the most expensive of the 3 main carriers offering domestic service. I used to be a fan of AA but now I worry about the culture at the airline and what the future holds. This latest ‘namegate’ issue as you call it is pathetic and there are no winners, only losers with the biggest loser being Malaysia as its once good name is sucked deeper into the quagmire. trust Tony to manipulate the Malaysian public to show empathy towards its cause to promote low cost flying throughout the region. The original master plan of KLIA was to allow a new satellite terminal to be built instead of pandering to AA’s demands to shift from KLIA to the now defunct LCCT, and since they are growing, hence KLIA2 was essential..only because the govt feels the need to feed its cronies, they decided to build KLIA2 and new control tower instead of sticking to original plan of additional satellite terminals. 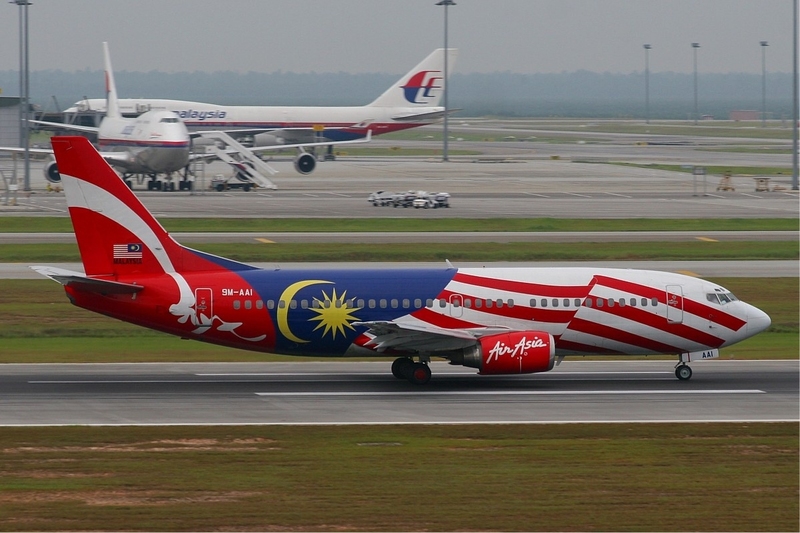 The sooner AA moves out of Malaysia, the better it is for MAS to recover. AA likes big headlines like ordering new Airbus A320Neo and A330Neo by the hundreds, only to defer their delivery much later. I feel your frustration. I remember when KLIA was built there was a lot of talk about how satellite buildings could be added to the original concept. But LCCs were few and far between in those days. As for ordering so many aircraft, it makes great publicity and many airlines do it, often only to sell their spots in the queue at a profit. But on the point of the terminal name, it should be about making the experience for the passenger as painless and as seamless as possible. To do that the terminals should be called KLIAT1 and KLIAT2. That’s it. « Is this another Malaysia Airlines branding fail?